I haven’t yet painted ‘From my July Garden’, but I was having a speculative look around today, wondering what might be in bloom for August. 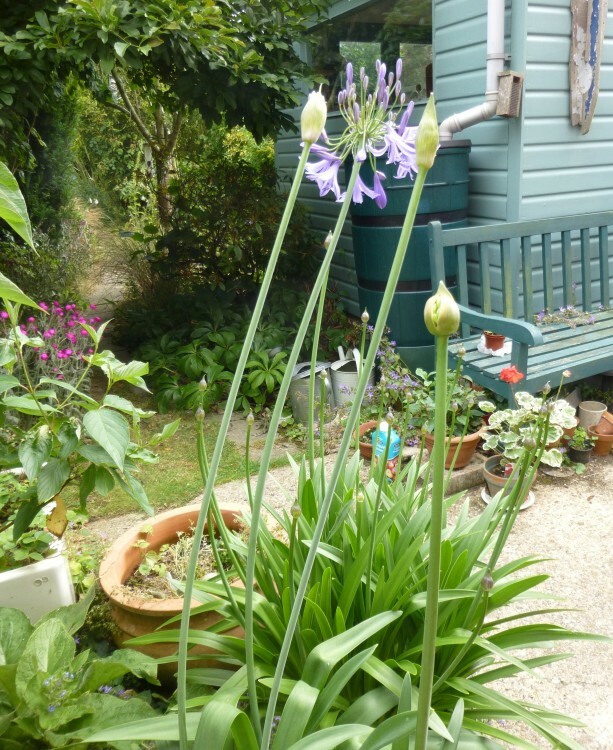 And there is no doubt that the agapanthus will be the stars of the show as they are all just beginning to break out from their buds, and will be in full bloom in a couple of weeks. 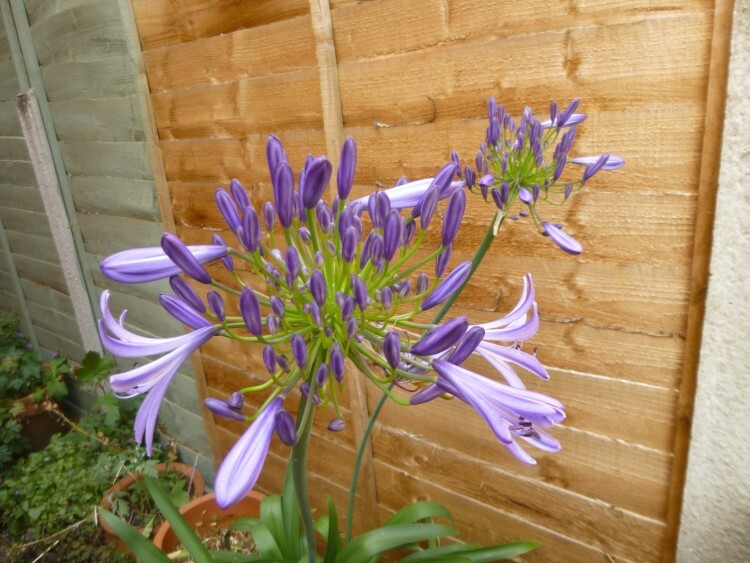 The first one I had, which is very dark blue and quite small came from Bodnant Gardens in North Wales, and has 21 flower buds this year. Then I have a big tub full of white ones that I grew from little bulbs which I mail-ordered from somewhere. One beautiful cornflower blue one I brought back from a garden in Cornwall. 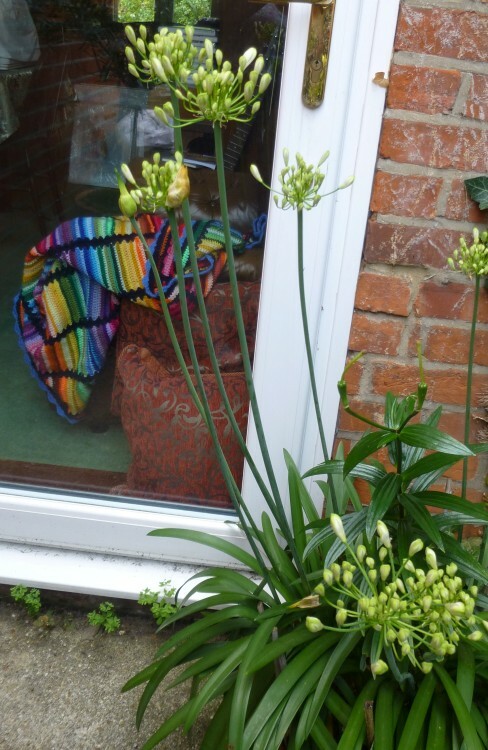 And I have a pot with two different ones – a light violet blue with a darker stripe down the petals, and a very pale almost grey blue – both these last bought from Beth Chatto’s garden. I think I have already got a idea which it is to be . . . . . . . . . .